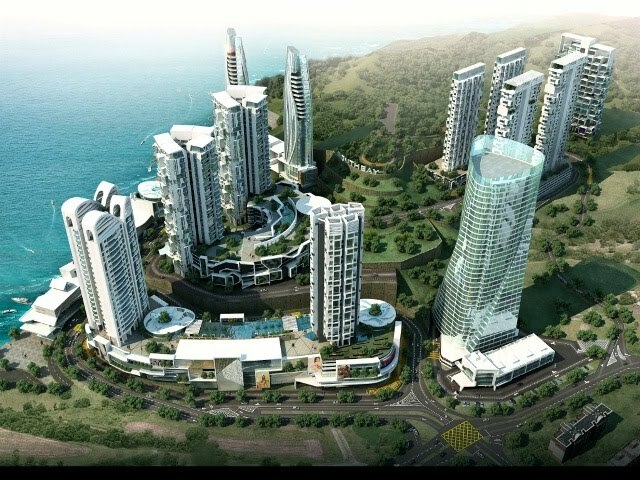 Mah Sing Group Berhad (Mah Sing) won the prestigious award for Best Developer – Waterfront Development (Future) for its Southbay project in Penang Island at the 2010 Cityscape Asia Real Estate Awards Ceremony in Singapore on May 18. Southbay is an iconic township located at Batu Maung, Penang Island. The elite township development comprises residential homes and serviced residences, retail and commercial strips, recreational and tourism attractions, hotels and malls, and world-class lifestyle entertainment, shopping and dining districts. The first phase of Southbay City has more than 1,500 registrants thus far. Mah Sing Group managing director Tan Sri Leong Hoy Kum said, “We are very pleased with this award as it recognises the Group’s firm commitment to excellence. This award marks the Group’s seventh award for the year - the Group was named the Best Brand in the Property Category in The Brand Laureate 2009-2010 Awards; our projects in Klang Valley and Penang Island won four awards at the Asia Pacific International Property Awards 2010; and our plastics division had garnered the 8th Asia Pacific International Honesty Enterprise – Keris Award 2009. The Cityscape Awards for Real Estate in Asia recognises and rewards excellence and outstanding performance in architecture and design for projects in the region. AmanahRaya-REIT Managers Sdn Bhd is to grow the asset size of the real estate investment trust (REIT) to RM1.5 billion in the next two years, from RM1.002 billion, at present. The total assets puts AmanahRaya-REIT in second place after Starhill REIT, said Chairman Tan Sri Ahmad Fuzi Abdul Razak. Meanwhile, the company has embarked on an acquisition trail of commercial properties. "We are currently in preliminary negotiations to acquire 3 to 4 assets, mainly office buildings and shopping centres," AmanahRaya's Chief Operating Officer Adenan Md Yusof said after a leasing signing ceremony with Kontena Nasional Bhd today. He said AmanahREITS, which has been accored a global investable grade rating of "BBB-", hoped to conclude some deals by mid-2011. "AmanahRaya REITS will continue to scout for properties in good locations in order to give the best returns to unit holders," he said. PETALING JAYA: Kumpulan Europlus Bhd's (KEuro) recent selldown of a 5.21% stake in Talam Corp Bhd, which reduced its holding in Talam to about 24%, is to raise fund to pay for financial instruments issued by Talam that KEuro has bought from Abrar Discounts Bhd (Abrar). At an EGM on Nov 4 last year, KEuro shareholders approved the proposed acquisition from Abrar of financial instruments issued by Talam with total par/nominal value of RM423.35mil for a total purchase price of RM125mil. A KEuro spokesperson said the company was expected to fully settle to Abrar the outstanding sum by this year. “Once we managed to achieve that, we expect the group's shareholding in Talam to creep back to above 30%. “We have the intention to retain our majority interest in Talam because we see potential in the company when it assumes its business as a township developer in the Klang Valley,” he told StarBiz yesterday. Talam has been classified under Practice Note 17 (PN17) on Sept 1, 2006, after its auditors failed to provide an opinion on its results for its financial year ended Jan 31, 2006. The company had also defaulted on term loans and bond obligations. The developer partially completed its debt restructuring in July last year. The exercise was effectively divided into three parts - a capital reduction and a share split, the issuance of new convertible instruments to address certain defaulted debts, and a proposed asset divestment programme. As at Jan 31, 2009, Talam's debts stood at some RM666.57mil, of which 78% or RM522.46mil are sukuk, Al Bai' Bithaman Ajil Islamic debt securities and bridging loans. Its proposed regularisation plan has been delayed by prolonged negotiations on assets disposal. A Talam official said due to the great effort by the management, the company had divested more than RM800mil of its properties, mainly land, including about RM670mil that was committed to be sold to Menteri Besar Selangor Inc to settle its total debts of RM392mil. The balance will be used to repay debts due to financial institutions. On April 30, Talam made a submission to Bursa Malaysia to have it uplifted from PN17 and Bursa had requested for further furnishing of documents. Talam and its adviser, RHB Investment Bank Bhd, are collating the necessary documents as requested by Bursa and expect this to be done by early June. He said the company's audited results were expected to be announced next week.